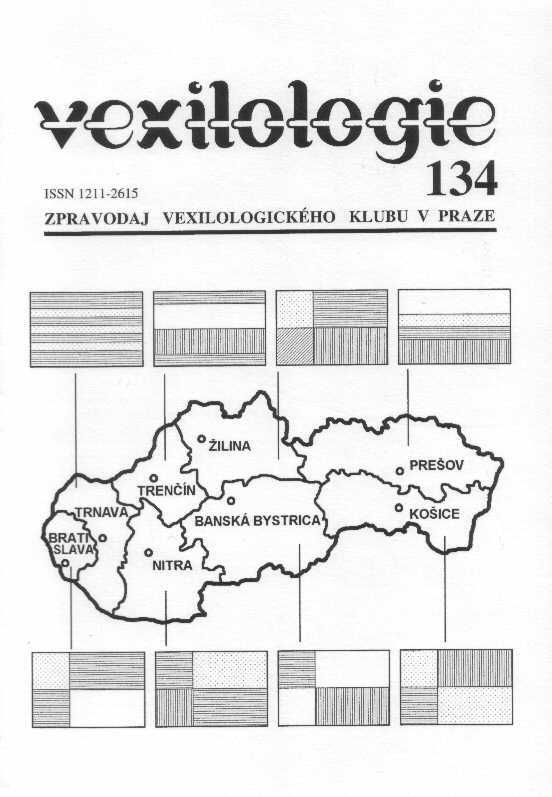 A well-known Slovak vexillologist Zdenko G. Alexy, the author of the winning conception, contributes his article on regional symbols of Slovakia to our journal. Their new arms are modeled in the way to refer to the previous counties´ arms reminding of the old administrative division of Slovakia under Austrian-Hungarian regime; at least three previous counties have formed present region. As the old regional arms from the 16th century had been too complicated to be simply put together in order to set new arms, their derivates had to be used instead. Due to the fact that majority of those new arms are quartered, the similar system has been chosen when regional flags are designed. Except of the regions of Prešov, Trenčín and Trnava flags of which are horizontally striped, other regional flags repeat basic colours of their arms in that way. Both regional arms and flags of all Slovak autonomous regions are shown and officially described on the previous pages; the banner of the region’s chairperson and the regional seal complete every sheet. A simplified shape of Nordic state flags is dealt in this article. This streamer shape is characteristic with omitting of the vertical arm of the Scandinavian cross displayed on the national flags of Denmark, Finland, Iceland, Norway, and Sweden. Either aesthetic reasons or possibility not to lower streamer after sunset are supposed to stand behind a broad popularity of this model among Scandinavian citizens. The next issue of VEXILLOKONTAKT for our foreign readers has been just published! 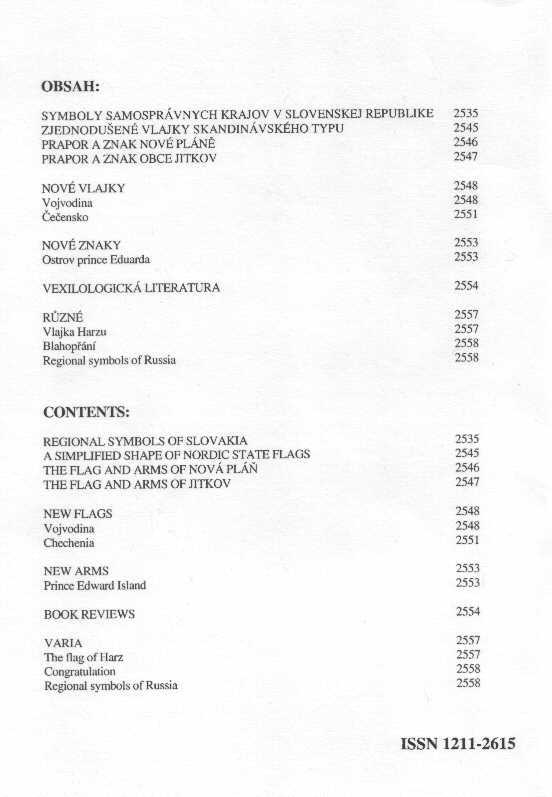 With enormous extent of 64 pages with 50 black-and-white and 38 colour illustrations this publication summarizes all available data o history of the arms and flags used by 6 provinces (krai), 1 autonomous region, 10 autonomous districts and two main cities of Russia enjoying a special status of the subjects of the Russian Federation.